Ca n´Eduardo is without doubt one of the best restaurants in Palma in which to celebrate your special events. 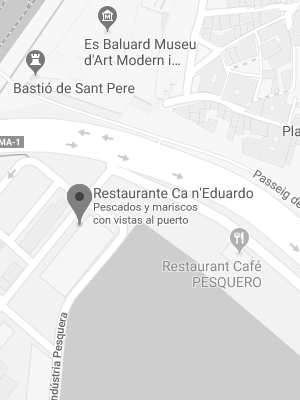 Its privileged location on top of Palma´s fish market, the restaurant with incredible views of the Cathedral and fishing port turn our restaurant into the perfect location for every type of celebration, meeting and anniversary. Our staff will make sure that your event is perfect and will look after the smallest of details.